I woke up from my nap and after I fed the dog, wandered out into the garden. I do a lot of wandering, when I suppose I should be weeding. 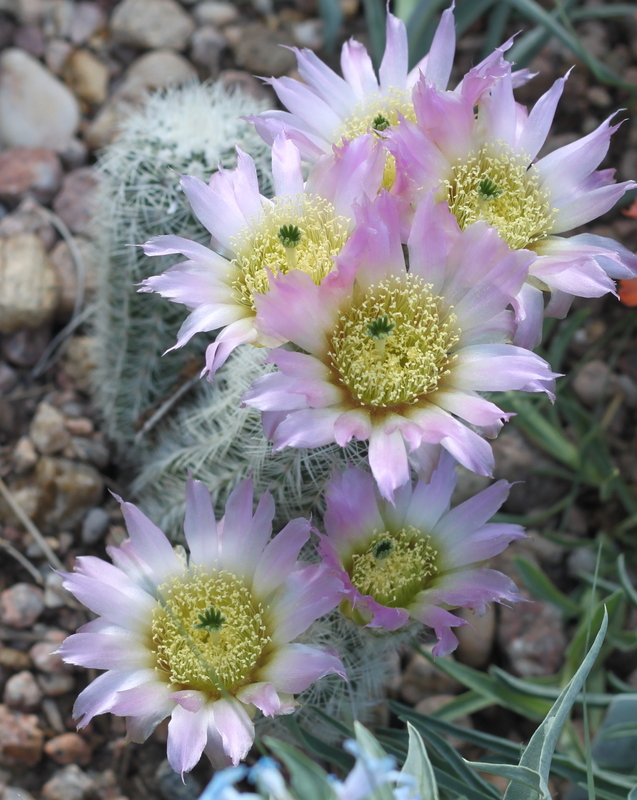 Here is Echinocereus reichenbachii var. albispinus. Some botanists ignore the white-spined business and consider this just the regular species, which is fine with me. The sun came out as tried to take a picture of one of these fairly amazing echinocereus hybrids, so I created a mini-eclipse by standing between the cactus and the sun. I saw these plants at Timberline Gardens a couple of years ago and they all came home with me. Without any persuasion at all. 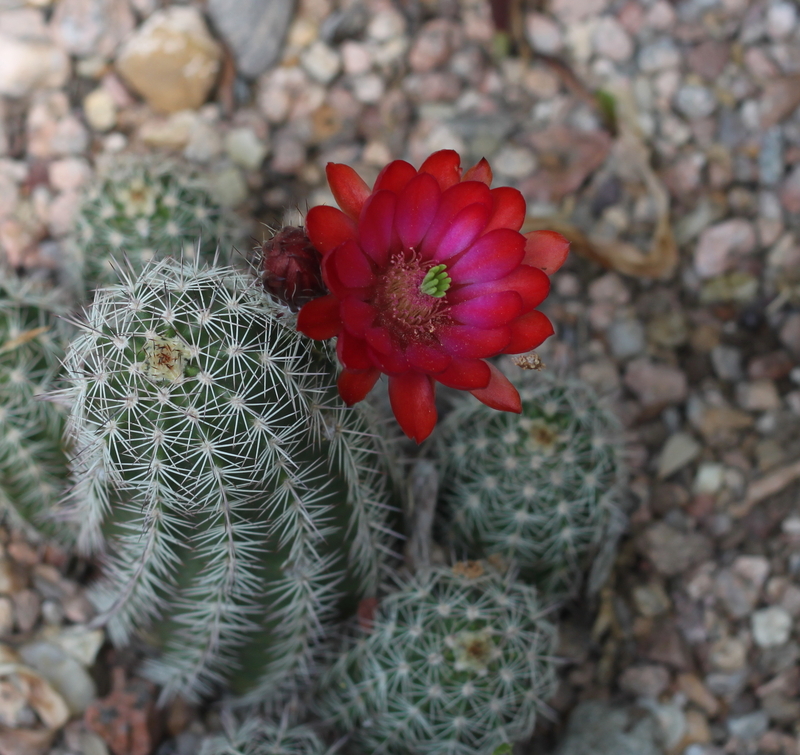 This entry was posted in Uncategorized and tagged echinocereus lloydii, echinocereus reichenbachii. Bookmark the permalink. p.s. I am now told these hybrids are Echinocereus x lloydii (coccineus x dasyacanthus).